We’re working hard to make Continental a family-friendly place. Every Sunday morning beginning at 9:30am, we have a class for every age group (children to adult). (And now at this hour we offer “Patch Club” for children grades 1-6.) And at 10:30am, we offer “Children’s Church” for an hour of age-appropriate worship for your little ones (ages 4 to grade 4), while you focus your heart on God’s word for you. 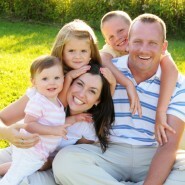 And here’s an extra bonus: Our pastor hosts a “Family Night” on the 1st Sunday of the month at 6pm. This is a one-hour service with songs, Bible lesson(s), a game and treats for families with children taught by Pastor Mike. All for free! I bet you’ll find Continental a place your whole family will love!